Newport Beach plastic surgeon, Dr. Ed Domanskis, creates beautiful facelift results for patients seeking a younger looking facial appearance. This surgery reshapes and tightens displaced facial tissues to soften the skin and downplay the signs of aging that are already on the face. 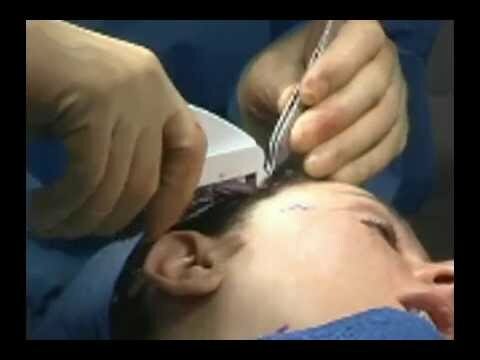 Facelifts are generally invasive in nature, but the more recent methods use techniques that minimize incisions. Dr. Domanskis’ goal is to create natural, subtle results. He places the incisions in inconspicuous areas and designs them to blend into the skin so that when they fade they become unnoticeable. During the consultation, Dr. Domanskis may recommend his “MiniMAX” facelift for patients who desire neck and face rejuvenation, but prefer a less invasive approach. This method decreases the risk for complications, and creates nice results. "Dr. Domanskis, Both my husband and I believe you are truly an artist at what you do. The many things you have done for me, the face lift, brow lift and ears all contribute to making me look many years younger than I looked previously. I totally love what all that did for and my husband loves it too. And now the lips too make me look even younger, and I am quite hopeful and confident that by the time a year has come and gone that they will look even better. Also, I would imagine that raising lips like that is probably one of the most difficult surgeries that a doctor could undertake, and I admire your talent in this most difficult surgery. So please feel 100% appreciated, because you really are, not only for your great talent and for what you do, which is totally awesome, but even better than that, because of the person that you are." "I'm 72 going on 52. Wanted to keep looking as young as I feel. Dr. Domanskis is amazing. Procedure was in his office operating room with local anesthetic. Everything went great!! You want to look younger with a totally natural appearance Dr. Domanskis is definitely the right surgeon. Worked great without having to undergo full general anesthesia." "Natural Facelift and C02 Lazer Treatment - Truly see Dr D if you are fearful of any type of procedure he is the best and rest assured you will get your moneys worth and an honest opinion and a fabulous result." "Facelift I Would Do It Again! - Newport Beach, CA - I would highly recommend Dr Domanskis; he takes time to speak with you and does the follow up visits himself. I will go to him again." "I have been a patient of Dr. Domanskis' for several years, and have referred countless patients to him- all who have been more than pleased with their results.My family members and friends have all had different procedures including, Facelift, Body Contouring, Breast Augmentation, and he has delivered amazing results with all of the procedures!I recommend him 100%." The technique used during a facelift is dependent on the patient’s facial features and conditions. Most surgeons will always aim for the less invasive technique, but some patient cases are severe and will require internal tissues, fat and skin to be manipulated. Patients must also understand the procedure in detail, including the level of invasiveness, placement of incisions, what layers of tissues will be corrected, and what risks may be associated with the surgery before moving forward. Depending on the technique used and the invasiveness of the surgery, the fees vary. Less invasive facelifts can average between $6,000 to $8,000. The more complex procedures can go as high as $14,000. On average, a facelift typically costs $11,000. A tradional facelift requires a long cut from the temple to the lower hairline, but the scars will be well concealed within the hairline and natural creases on the face. With the lesser invasive techniques, the scars heal pretty well and will almost be completely invisible to the naked eye.